The 740e is BMW’s big PHEV. 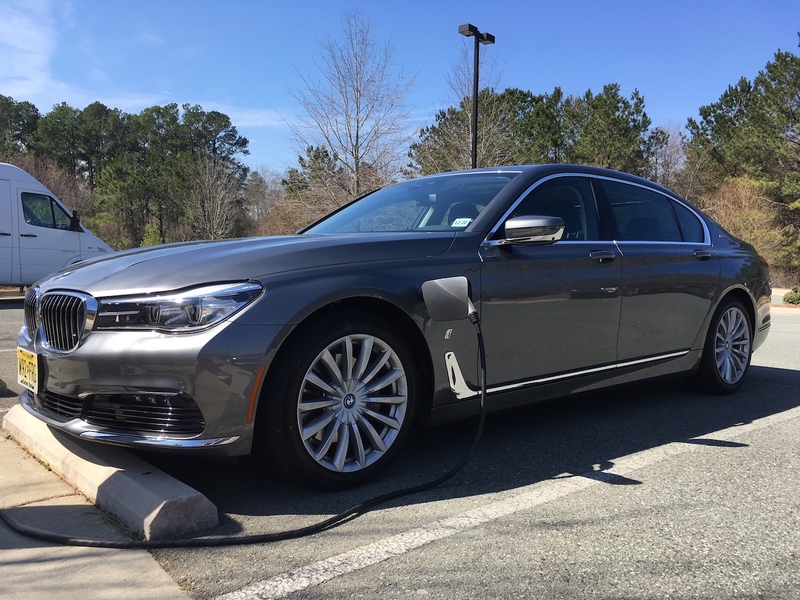 The BMW 7 Series includes this 740e, a plug-in hybrid electric vehicle. Certain dreams of mine were recently fulfilled when a handsome, shiny BMW 7 Series arrived at my home one blustery March afternoon. The new conveyance completed my quest to drive each of BMW’s numbered car models ranging from 3 to 7. Yes, “2” remains unfulfilled, but if there is some prioritizing in the BMW numbering order, then the “7” wins by five. But the received model wasn’t one of the anticipated 7 Series trims powered by inline-six, V8 or V12 engines. Instead, it was a new model with a twin-turbo inline-four cylinder engine and an AC synchronous electric motor with integrated power. That integration covers the vehicle’s electronics, the charger and generator mode for recuperation. In other words, it works in tandem with the gas engine and the eight-speed automatic transmission to power this plug-in electric hybrid vehicle on its own or in conjunction with the rest of the powertrain. I think I just said a mouthful. Make no mistake about it: the 740e xDrive iPerformance is its own take on the much-heralded 7 Series. For the series familiar, you may wonder if the new model is reductive from a power standpoint. In some ways it is, although I’m certain BMW wants us to view it as something the automaker developed in an effort to strike out in a new direction. To that end, we’ll examine the highlights of this full-size, luxury all-wheel drive sedan with room for five. 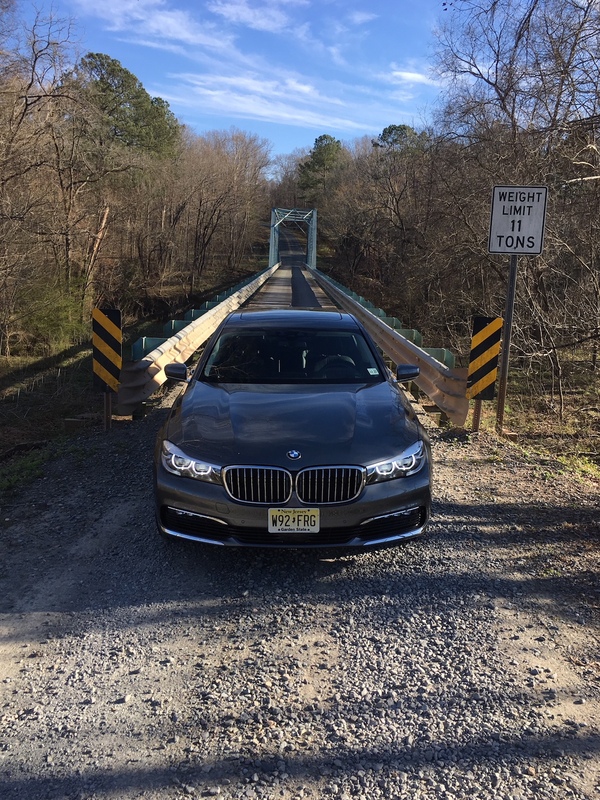 The 2018 BMW 740e as it finished crossing the Rocky River Bridge in Chatham County, NC. 1. Every Bit a 7 Series. Rest assured, the 740e is very much a 7 Series sedan. The “740” moniker tells you that it is a base model, with 750 and 760 following. The “e” says it is electrified, in this case you’ll find a PHEV, not a pure electric vehicle. This means the sedan runs on battery power exclusively when charged or taps the gas engine much of the time. Apart from the powertrain and its overall driving characteristics, everything about the 740e is familiar, even praiseworthy. There is something about the 7 Series sheet metal that puts a smile on my face. As if the ultimate in BMW design has arrived. And it has. The familiar twin-kidney grille is wholly in proportion to the front fascia, neither itself overwhelming nor overtaken by the beautiful headlamps. Its frontal presentation is amplified by the lovely sculpted lower grille opening and the elegant lines running from the front to the back of the hood. Firm shoulders, a high waistline and a long roofline impart the “bigness” of this model. The rear deck is almost as short as the hood is long. The rear fascia is marked by large, but tasteful wraparound tail lamps, a trunk lip spoiler and dual exhaust ports. The telling feature that this model is a hybrid is the charging port situated just ahead of the driver’s door between the wheel well and the hood. The overall look of this sedan’s visage is unmitigated elegance, with its ornamentation somewhere just above minimalist. 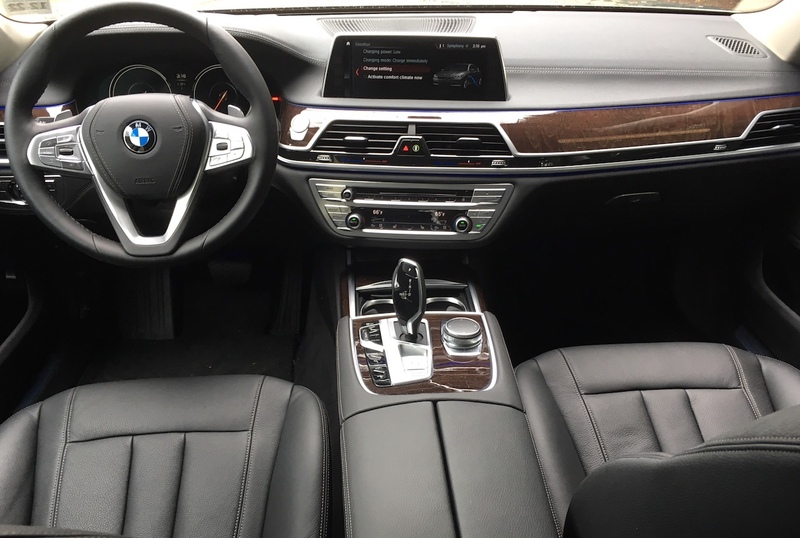 With 10.5-feet between the wheels, the BMW 7 Series delivers an exceptionally spacious cabin. 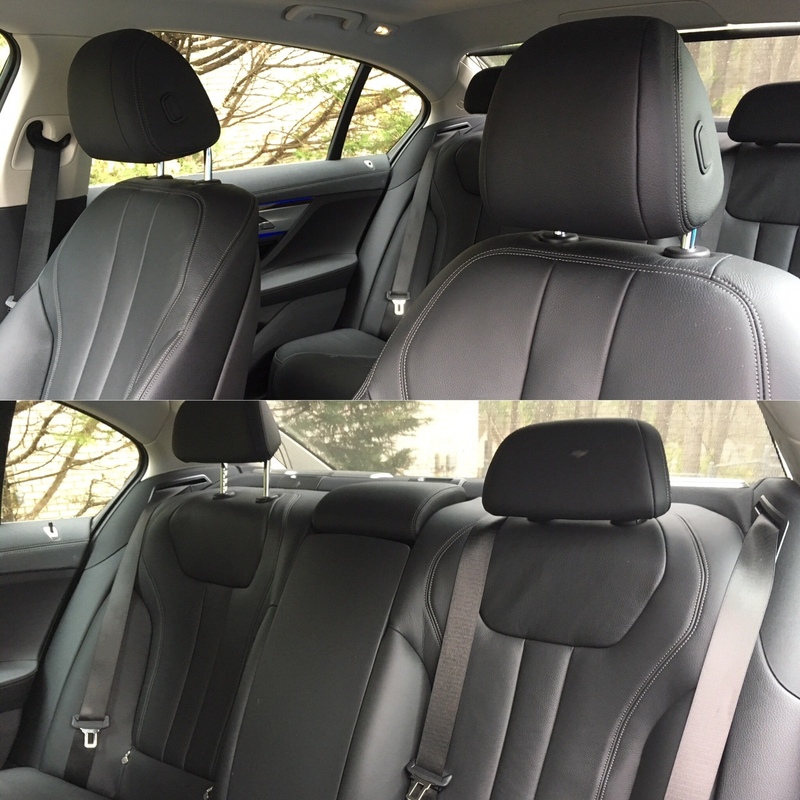 There is room for five with rear seat legroom the best you’ll find in this class. In some ways the best seats are in the rear, especially for outboard seated passengers with the middle armrest folded down. Indeed, with the available executive lounge seat option, your recliner chair dreams come true. Similar to the exterior, the interior finds a happy balance between minimalism and an overwrought design. Yes, all the important controls and features are at the ready, but the look is orderly and uncluttered. Leather is used liberally throughout the cabin, with soothing colors. Wood trim, metal accents and carbon fiber are subtle touches found throughout. 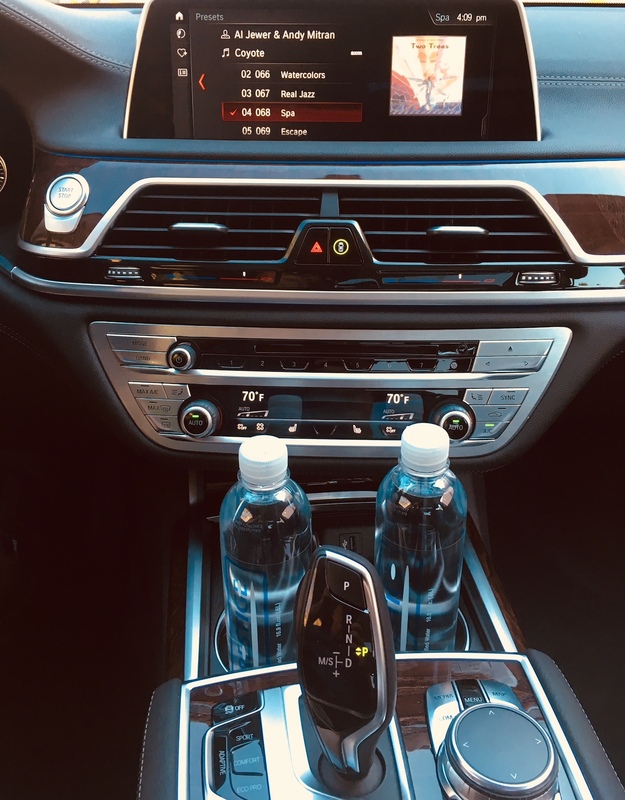 Tech features are in abundance and include a 10.2-inch color display with gesture control, an even larger instrument panel display and a 16-speaker Harman Kardon auto system. Look up and you’ll find a dual-panel sunroof…activate a switch and the trunk rises. The trunk space measures just under 15 cubic feet, which is below average for this class. Two quick tugs on a lever and the hood disengages, then easily lifts once your hand slips underneath. The most difficult number to wrap my head around was the 14-mile all-electric range this big sedan provides. That range is considerably less than some models out there, with the Mini Cooper SE Countryman ALL4 coming in at just 12 miles. Mini, by the way, is a BMW brand. So, this means that when tapping the typical public charging station, drivers can expect a full charge in about 2.5 hours. Then, when operating the 740e in “Max eDrive” mode, the sedan behaves like an electric vehicle — the internal combustion engine stays off, except under hard acceleration. That said, you may find operating the sedan in “AUTO eDrive” mode the best choice as the system activates the engine when needed. What’s interesting about this mode is you can sense the transition between the two power sources as the engine will immediately kick in when additional power is needed. Choose the “battery control” mode if you wish to save electric power for later or if you want to charge the battery as you drive. This mode may be the best among the three as under certain driving conditions, it can send power to the 9.2 kWh high-voltage lithium-ion battery pack chiefly by means of regenerative braking. Take a long trip and you may find the battery replenished when you arrive, with no need to connect to a power source. Then, drive around town for a few miles without using fuel. You say 255 horsepower? In a BMW 7 Series? When I showed the 740e at a local Cars and Coffee event and shared the performance numbers with visitors, their reactions ranged from surprise to disbelief. Indeed, few could wrap their minds around the horsepower number, let alone the fact that just four cylinders were present. Fortunately, the 255 hp is simply a base number. Helping matters is the additional 111 horsepower from the electric motor. Further, when combined with the gas engine, full power rises to a respectable 322 system horsepower and 369 pound-feet of system torque. Compare that to the 320 horsepower and the 330 pound-feet of torque in the inline-six and you’ll understand why both models have a BMW-announced 0-60 mph time of just 5.1 seconds. Do you have a need for speed? The 740e delivers, although you should manage your expectations. Certainly, this hybrid isn’t anywhere near as fast as the Tesla Model S and is slightly behind the Volvo S90 T8. For instance, with the Volvo, the gas motor is the same size as the BMW motor. But Volvo uses a supercharger and a turbocharger to provide more power overall. Its all-electric range is 50 percent longer too, coming in at 21 miles. In any case, the Volvo isn’t an accurate competitor as it is sized nearer to the 5 Series, than to the 7 Series. 5. The Range is a Mystery. 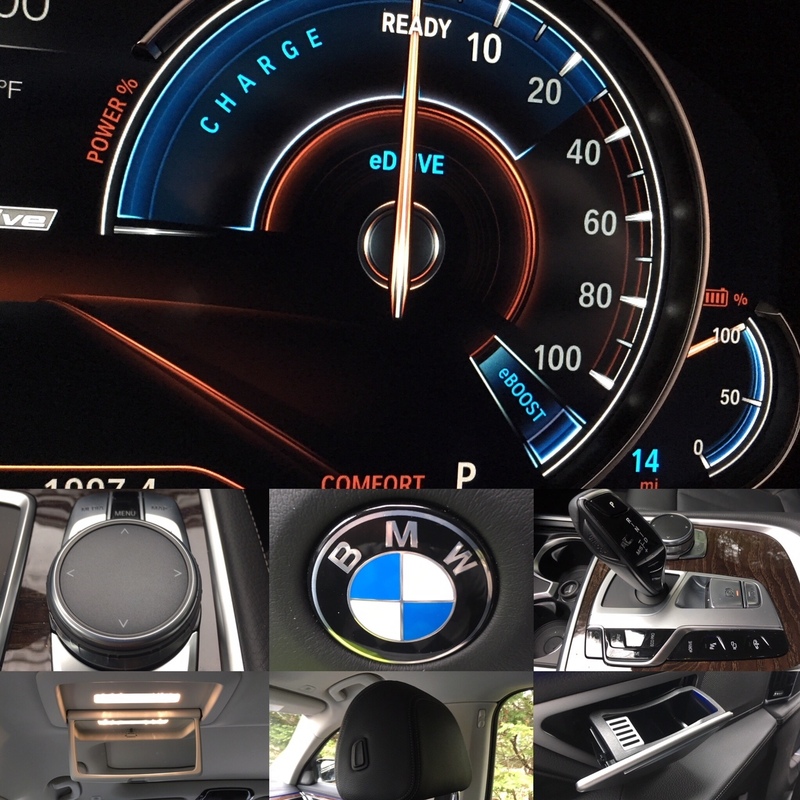 I would love to say the BMW 740e’s range will keep you from avoiding fuel pumps for days on end. It won’t. The reality is that its EPA-estimated 27 mpg fuel economy is difficult to attain. Yes, the instrument panel readout said 26.7 mpg, but I found myself heading to the pump sooner than I had expected. What (or who) was to blame? That would be none other than the sedan’s 12.1-gallon fuel tank, coming in considerably smaller than the 20.6-gallon tank found in other 7 Series models. I understand why the smaller tank was present: to lighten the load for this 4,740-pound sedan and to make room for the battery pack. Either way, the full driving range is just 326.7 miles. That’s far below the 494.4 miles with the 740i. Mission accomplished. At least my personal quest to drive the 7 Series is over. I won’t pretend the 740e delivers an experience matching the top 7 Series trims, but it does come close to rivaling the 740i. No doubt, its short all-electric and overall ranges are its main demerits. Then again, many of its competitors, including Mercedes-Benz and Porsche, have similar short ranges. On the other hand, the Cadillac CT6 has a 31-mile all-electric range and a 15.6-gallon fuel tank. Like the Volvo S90, the CT6 is a midsize luxury sedan. Again, a head-to-head comparison isn’t fair. But there is still room for improvement, something we’re likely to see as the technology matures. 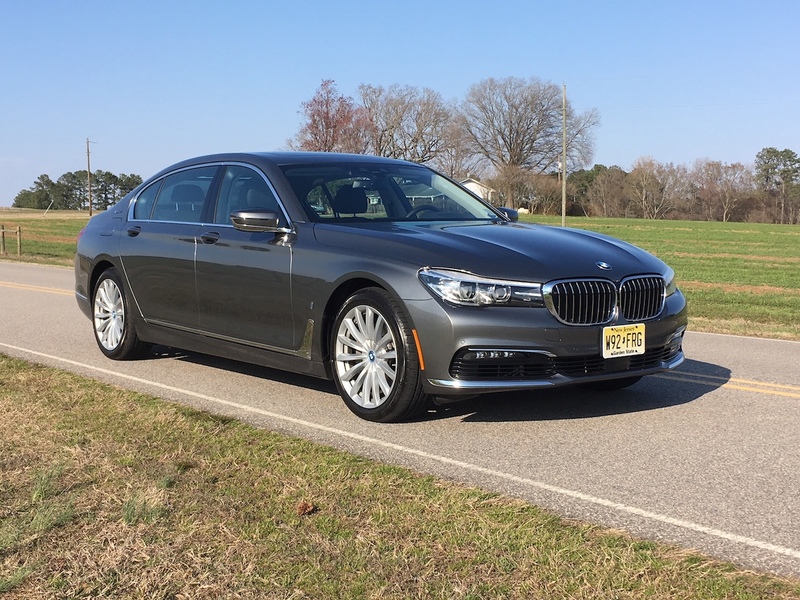 The bottom line concerning the 2018 BMW 740e is that it allows the manufacturer to offer a compliance model in markets where emissions restrictions and fuel economy mandates are the strictest. Not too long ago, a diesel might have provided the better solution along with the superior range these engines afford. But diesels have fallen into disfavor due to cheating issues and aren’t considered by some as the way forward when it comes to all things clean driving. BMW 740e photos copyright of Auto Trends Magazine. All rights reserved.